Is there biblical reference to Michael, the arch angel - Role and being? I am looking for the biblical references to Michael the angel ? And what are/were his/her role? There are some christian groups that attributes Michael same with Jesus. Is there any biblical reference to it? But Michael the archangel, when he disputed with the devil and argued about the body of Moses, did not dare pronounce against him a railing judgment, but said, "The Lord rebuke you!" From that verse, it would seem to be hard to equate Michael and Jesus. That verse seems to indicate the "voice of the archangel" will announce Christ's ( the Lord Himself) return - again listed as a separate being. Dan_10:13 But the prince of the kingdom of Persia withstood me one and twenty days: but, lo, Michael, one of the chief princes, came to help me; and I remained there with the kings of Persia. NOTE: the word one is a gross misinterpretation of the word echad in this situation which means first using Strong's Dictionary. One of the chief princes actually translated correctly means the First of the chief princes. Dan_10:21 But I will shew thee that which is noted in the scripture of truth: and there is none that holdeth with me in these things, but Michael your prince. Dan_12:1 And at that time shall Michael stand up, the great prince which standeth for the children of thy people: and there shall be a time of trouble, such as never was since there was a nation even to that same time: and at that time thy people shall be delivered, every one that shall be found written in the book. Jud_1:9 Yet Michael the archangel, when contending with the devil he disputed about the body of Moses, durst not bring against him a railing accusation, but said, The Lord rebuke thee. Dan 12:1 And at that time shall Michael stand up, the great prince which standeth for the children of thy people: and there shall be a time of trouble, such as never was since there was a nation even to that same time: and at that time thy people shall be delivered, every one that shall be found written in the book. The words translated railing is blasphēmia which Strong's Dictionary says mean blaspheme or evil speaking. Michael did not bring a blasphemous accusation but said the Lord rebuke thee. He was not afraid of satan as some would try to make us think but dared not to bring a blaphemous accusation which is sin. Zechariah 3:1,2 And he shewed me Joshua the high priest standing before the angel of the LORD, and Satan standing at his right hand to resist him. And the LORD said unto Satan,The LORD rebuke thee, O Satan; even the LORD that hath chosen Jerusalem rebuke thee: is not this a brand plucked out of the fire? In this scenario we have the Lord being the advocate of Joshua and saying the same thing Michael said to satan. It seems as though Jesus has the same office with Michael or maybe they are the same person. Joshua 5:13-15 And it came to pass, when Joshua was by Jericho, that he lifted up his eyes and looked, and, behold, there stood a man over against him with his sword drawn in his hand: and Joshua went unto him, and said unto him, Art thou for us, or for our adversaries? And he said, Nay; but as captain of the host of the LORD am I now come. And Joshua fell on his face to the earth, and did worship, and said unto him, What saith my lord unto his servant? And the captain of the LORD'S host said unto Joshua, Loose thy shoe from off thy foot; for the place whereon thou standest is holy. And Joshua did so. The word angel means messenger so therefore he must be the Arch Messenger. Michael is not an a literal angel but a messenger. the word messenger and the word angel are the same in both greek and hebrew. The event described here is the Second coming. With the parallel produced by John 5:25 and 1 thess 4:16 it is hard to think Jesus the Son of God is not Michael the Archangel shouting with the trump of God. ALWAYS REMEMBER MICHAEL IS NOT A LITERAL ANGEL HE IS A CHIEF MESSENGER. Other than the reference that @warren has given. The other passage believed to refer to him is in Daniel 10. Note that the word angel isn't used here - he is called a prince - but context may imply it. Not the answer you're looking for? 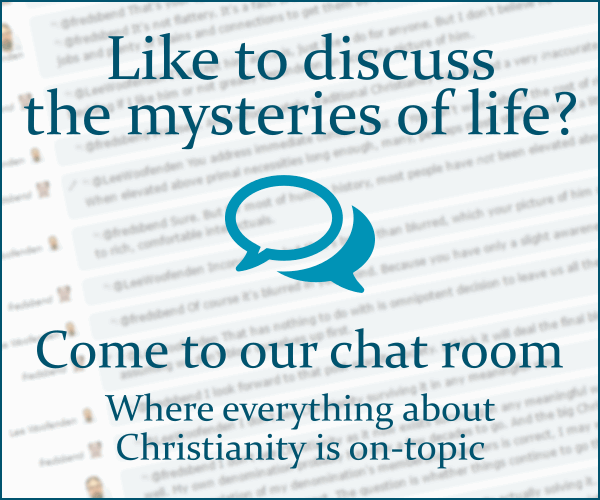 Browse other questions tagged biblical-basis angels or ask your own question. Who do mainline Protestants believe an “archangel” (such as Michael) to be? What is the Biblical basis for the belief that Jesus is Michael? Is there biblical evidence of seraphims being angels? What is the biblical basis for humans becoming angels after they die? What are common explanations for the angel being delayed for 21 days in Daniel 10:13? Where in the Bible does it mention that every person has a guardian angel? According to Catholicism, do Gabriel, Michael and Rafael still have the option of turning away from God?